In the 1730s and 1740s, a spiritual fervency swept the American colonies. It was called the First Great Awakening. Fiery ministers like Jonathan Edwards and George Whitefield preached about having a deep personal relationship with Jesus Christ and a standard of personal holiness. Many cast off the religious traditions of relying on the religious leaders to tell people what God wanted and started searching the Scriptures and seeking their own relationship with Jesus. Even many church goers had salvation experiences. This caused a revolution in the church, but that was only the beginning of more than one revolution. Whitefield preached at both Harvard and Yale. At Harvard, it was reported, “The entire college has changed. The students are full of God.” Whitefield became so popular that he drew daily crowds of 8,000 people. In Boston, he drew a crowd of 23,000, larger than the entire population of Boston at the time. Even Benjamin Franklin wrote about the impact of his preaching. He was the cultural hero of the day. The impact was huge. In New England alone, 25,000 to 50,000 people joined the church and claimed to have salvation experiences. When Jonathan Edwards preached “Sinners in the Hands of an Angry God”, people held on to the posts of the church for hear they would go to Hell before they had a chance to repent. Many universities sprang up for the purpose of training ministers. The colonies united under the umbrella of revival. It affected the political thought in the colonies as well. People became more democratic believing that the church should be self-governed, not governed by the state. It also welcome people from every walk of life. The church became a melting pot elevating all members of society as equals. As the colonies united in democratic thought, the Church of England – the Anglican Church, sought to crush this awakening causing a divide between England and the colonies. John Adams studied at Harvard and considered becoming a minister. Samuel Adams was deeply impacted and sought a political revolution to separate the church from England’s influence. Benjamin Franklin and George Whitefield were friends. Some believe Franklin might have become a Christian in latter life. James Madison was very devout and fought for freedom of religion and checks and balances in government because of the depravity of man. John Witherspoon published several books on the Gospel. Although there’s no direct connection between George Washington and the Great Awakening, we know that Washington was a devout Christian who even wrote a prayer book. 54 of the 56 signers of the Declaration of Independence were devout Christians. Only Benjamin Franklin and Thomas Jefferson were not. The first act of the Continental Congress was to pray. They prayed at the beginning of every session, and they prayed before voting to declare independence and signing the Declaration of Independence. The Great Awakening started a spiritual revival that led to the American Revolution and the birth of modern democracy. Tamera Lynn Kraft has always loved adventures. She loves to write historical fiction set in the United States because there are so many stories in American history. There are strong elements of faith, romance, suspense and adventure in her stories. She is managing editor of Mt Zion Ridge Press. 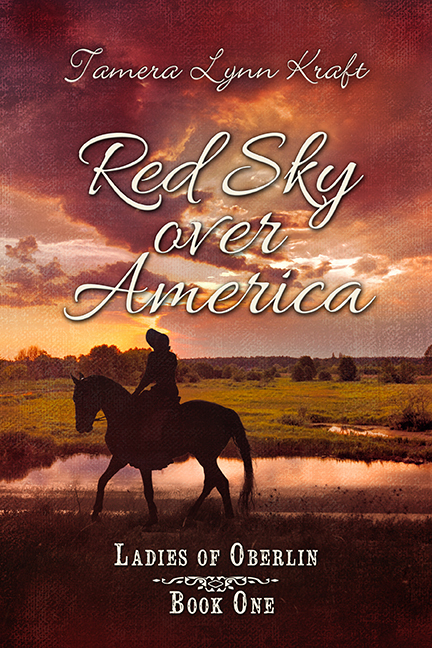 Her novel, Red Sky over America is due to be released September 1st. Thanks for the informative post. Oh, that we would experience such a revival again! Tamera, thank you for sharing this informative post about the first great awakening. We definitely need to see another great awakening revival in our country.